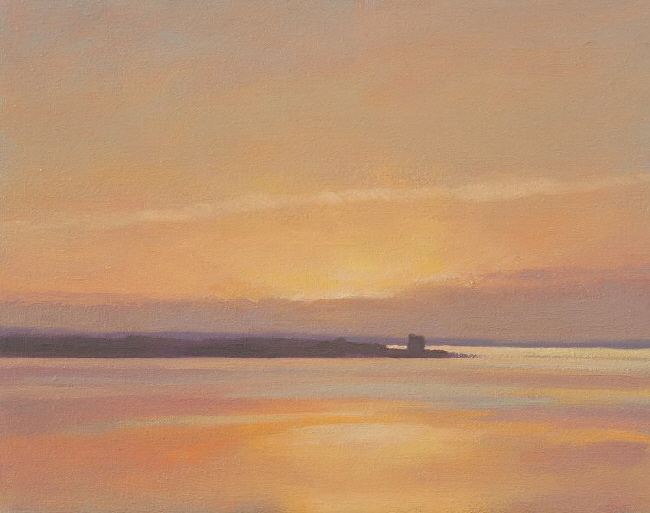 The dawn rising above Broughty Castle - the spot were I usuallly sit to paint the sunrises in cooler months when the sun rises further towards the east and then further south still. Painted from Tayport in Fife. Before arriving here to paint I’d looked out of my window at an apparently unpromising pre-dawn sky and almost decided not to bother going out to paint.......It’s just that at 4am in the morning, a warm bed always seems like a better idea! Worth the effort though, as it nearly always is.